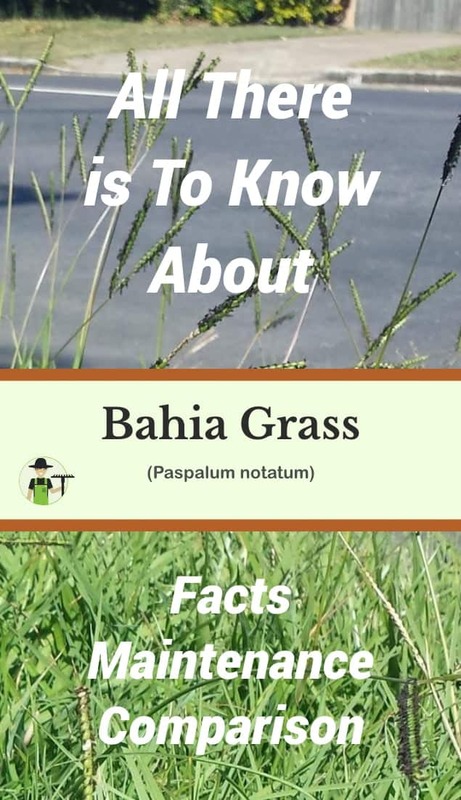 Paspalum notatum is also referred to as Bahiagrass, Common Bahia, and even Pensacola Bahia. This type of grass, while native to South America and Mexico, has been used in North America as well as other areas around the world. As it is a warm-season grass, it is not as commonly used in northern states as it is in southern ones. 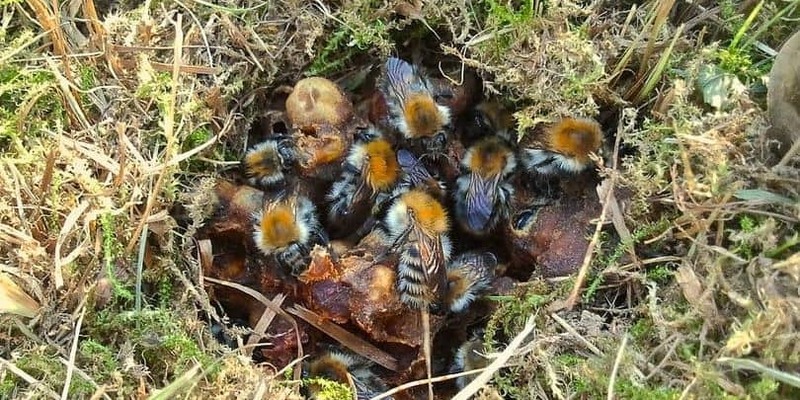 It’s generally used as a forage for animals as it has a very high nutritive value when it is mature. Additionally, this grass works well to control erosion and can be used as a turf grass. 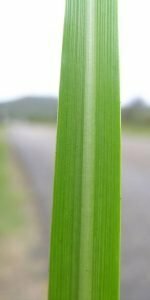 While there are a few different varieties of Bahia grass that are grown, the most common ones are “Tifton 9,” “Pensacola,” and “Argentina.” Tifton 9 is a grass with very fine blade and grows incredibly quickly. This means that you can easily establish a large area of this grass in very little time. 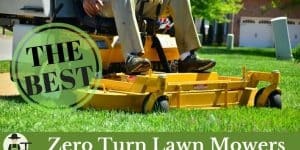 Due to the texture of the blades, this type is commonly used in lawns. 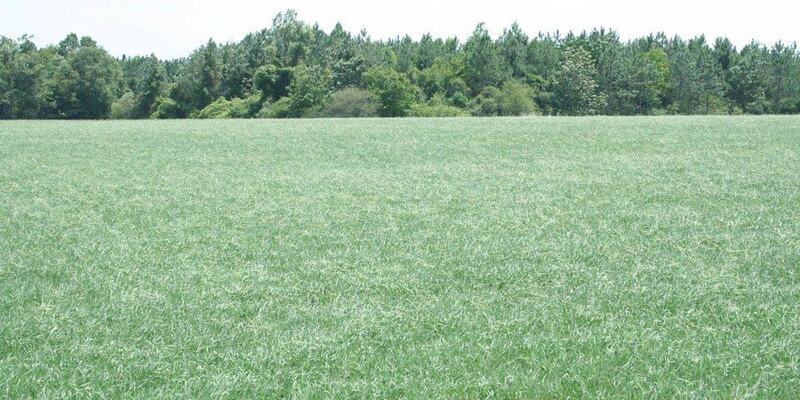 Pensacola grass is commonly grown in cooler and dryer areas and is originally from Argentine. It can be used through transition zones in the United States since it is much more cold hardy than other varieties. Finally, Argentine grass can grow in very wet and warm areas. It loves having a lot of water and can survive standing water for short periods of time. It’s not only very prolific, but also the best out of the three for lawns. Other varieties that you can commonly find include “Seaside Paspalum Bahia,” which has a very high tolerance for salt in the soil, and “Paraguayan Bahia,” which has a grayish color and is great for pasture in wet areas, but is not commonly used for lawns. This warm-season grass grows very quickly, even in poorer soil conditions. While it has a very soft feel, which makes it a popular choice for some homeowners, it does come with its own set of difficulties. 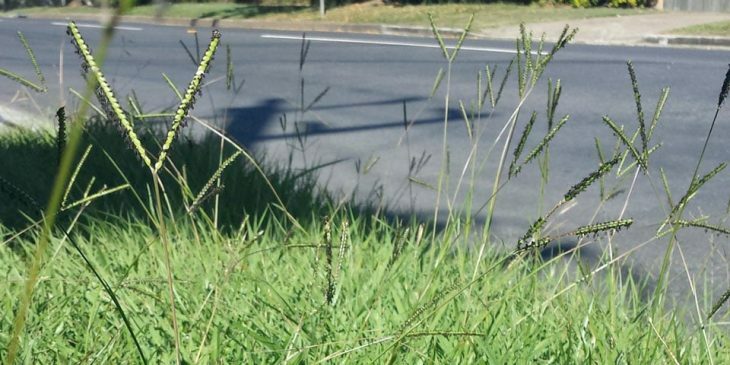 Generally speaking, Bahia grass doesn’t grow well in very shady areas and the grass itself produces large seed heads that can be very unattractive. While it does take a while to germinate this grass, it is easy to start from seed. 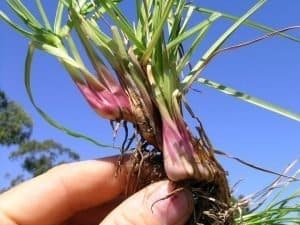 However, it has a very open growth pattern, and this means that weeds can easily grow with this grass. Like most other warm-season grasses, Bahia grass will only stay green during periods of active growth. Extended drought will cause the grass to turn darker or tan and will also cause it to go dormant. However, Bahia grass tends to recover quickly from these stressors and will quickly green up again and will resume fast growing as soon as the conditions improve. The pollen of Bahia grass has 4 proteins that can cause allergic reactions in some people. 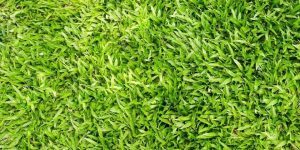 This is important for homeowners to take into consideration when they think about growing this type of grass in their lawns. 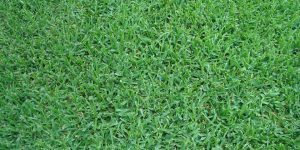 There are some varieties of Bahia grass that have been developed for use in lawns and are great options for homeowners in the south who deal with hot and wet conditions. However, this is not what Bahia grass was originally used for. 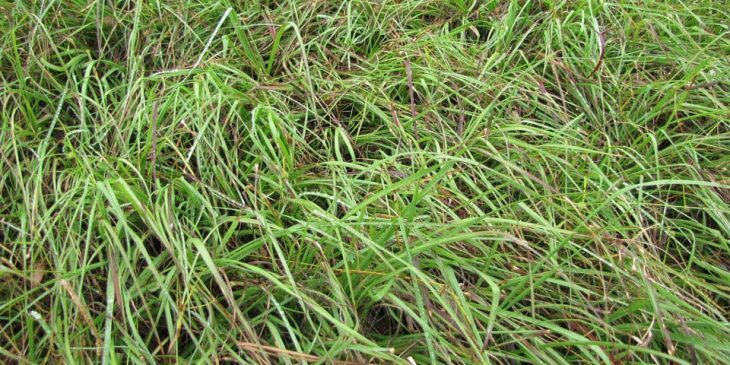 Originally Bahia grass was brought to the US in 1914 to be used for pasture. This is still a common use of Bahia grass. Additionally, it has an incredibly deep root system. This is not only what makes Bahia grass so resilient and able to withstand periods of drought, but it is also what makes it a great option for use in areas that are prone to erosion. Thanks to the deep roots of the Bahia grass and its durability, it can easily help prevent erosion from occurring. It is often planted around levees, ponds, and gullies that are located in agricultural fields. Bahia grass is a warm-season grass and generally grows very well in tropical, subtropical, and even some transition zones, depending on the variety. It is most commonly grown in the southern states of the United States, although it is still very popular in South America, as well. This type of grass is not very tolerant of the shade. For this reason, it is best grown in areas where it has full sun, or it will suffer stunted growth. 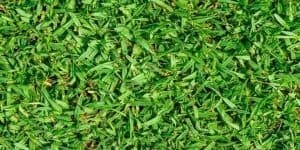 Homeowners who have even partial shade in their lawns will not be able to get the best growth from this type of grass. As this grass came from hot areas in South America, it makes sense that it would be able to stand up to heat so well. This grass does very well growing in warmer areas of the United States. No matter how well the grass is cared for, it generally doesn’t have a very good resistant to cold weather. While there are some varieties of Bahia grass that can survive and grow in transition zones, there are sometimes better choices. When winter arrives, Bahia grass will go into a dormant period and will turn tan. 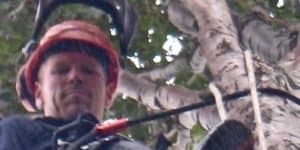 While this is unattractive, it will stay green longer into the fall than other types of grass, such as Bermuda grass, and it will green up faster once spring has arrived. To get a green lawn all year long, homeowners often seed Bahia grass with ryegrass, as this will produce color even in the colder months. Thanks to the deep root system that this grass has, this grass does a great job of standing up to droughts. This may seem surprising, since Bahia grass also can handle a lot of rain without being damaged or dying, but this is a fairly drought tolerant grass. Thanks to its high drought tolerance, Bahia grass is much more likely to survive periods of drought and to remain green even when it hasn’t received enough rain. 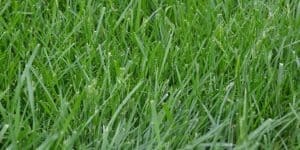 While not quite as durable as other types of grass, Bahia grass generally can stand up to wear and tear fairly well, especially with proper maintenance and mowing. 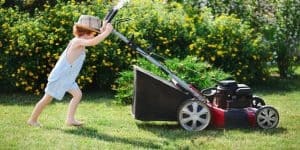 While it is not generally used in parks or sports fields due to its appearance, it is a good option for homeowners who like to play in their yard. The deep root system of the Bahia grass helps it withstand wear from grazing animals, but only once it is established. Grass that is not well established can quickly be damaged and killed. Proper maintenance is imperative to keep Bahia grass looking its best. 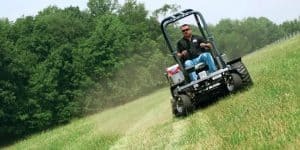 When used in pasture or for erosion, it doesn’t require much, if any, maintenance, but homeowners will have to put a little more work into their yards to keep their lawn looking the best that it can. Because Bahia grass can quickly grow and spread once it is allowed to produce seed heads, homeowners need to make sure that they mow their lawns on a regular basis. If Bahia grass is allowed to spread, it can quickly self-seed into flower beds, so vigilance is important. Homeowners have to make sure that they maintain their lawn and that they are diligent in removing unwanted Bahia grass from other areas. 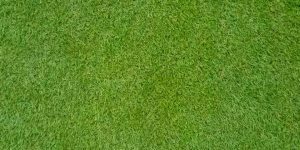 Like all types of grass, regular mowing is important with Bahia grass, and it will actually stimulate better and thicker growth, which is why it’s so important. 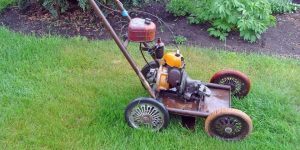 To best improve the stress tolerance of this grass and encourage it to grow the deepest roots possible, homeowners should mow the grass to between 2 and 3 inches. Seed stalks will rise quickly and grow taller than the blades of grass, so regular mowing is necessary. Because Bahia grass is so tough and durable, it can easily damage the blades on a lawn mower. It’s important that regular maintenance and sharpening is performed for the best mowing possible. One great reason that so many people love Bahia grass is that it hardly grows thatch. This means that you don’t need to worry about the common diseases and problems that can occur when a lawn has a layer of thatch on it. While every type of grass has different soil needs, Bahia grass grows very well in poor soil conditions. It actually prefers acidic soil and will suffer if the pH is above 7.0. Because of this, it’s important to test the soil before seeding Bahia grass. Some supplements, such as iron supplements, may be necessary to help keep the grass a healthy and rich color. Once Bahia grass has been established, it doesn’t require a lot of fertilizer. Regular testing of the soil is the best way to determine what kinds of fertilizer needs the grass currently has. Unfortunately, there are some ingredients found in weed and feed products that will harm Bahia grass. 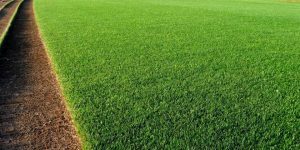 Before using any fertilizer on this grass, it’s important to check not only the ingredients, but also whether it is recommended for Bahia grass. There isn’t a set fertilizing schedule with Bahia grass the way that there is with most other types of grass. In fact, this type of grass only needs fertilizing from time to time due to how hardy it is. Checking the condition of the soil and keeping an eye on the appearance of the grass is the best way to determine when to fertilize. Pale yellow color is a sign of an iron deficiency, which will need to be corrected right away for best results. Fertilizing will, however, reduce the risk of insects and disease, so it is important to fertilize when necessary. There aren’t many problems that Bahia grass faces in regards to disease, weeds, and insects, but weeds are the biggest problem out of the three. Due to the open growth of Bahia grass, weeds can easily grow in the lawn. This is a problem when seeding and weeds block sunlight from the young grass. Using a weed killer and mowing the lawn to a shorter height are effective ways to deal with this problem. The mole cricket is the most common pest that you will deal with when you have Bahia grass. They can easily damage the root system, but killing them is easy. 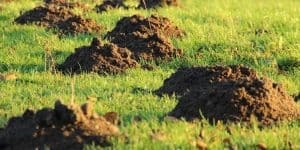 Most homeowners can spot their tunnels and then use a lawn insect killer to take care of the problem. Dollar spot is a common disease for most types of grass, and Bahia grass is no different. Applying a light application of nitrogen to the lawn will generally take care of the problem. 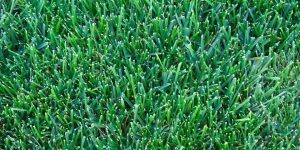 You can easily choose the right grass for you when you compare Bahia grass to other common types. While Bahia grass has very deep root systems that help them survive harsh conditions, Centipede grass has a very shallow root system. This means that Centipede grass needs to be watered more regularly. Centipede grass creates a full and thick turf, while Bahia grass grows in tufts. This means that Centipede grass is less likely to suffer from weed invasions than Bahia is. While they are both warm-season grasses that grow slowly, Centipede grass is usually established in a lawn via sod. Bahia grass, on the other hand, grows well from seeds, although it tends to grow slowly. Both warm-season grasses that do well in hot weather, there are a few differences between St. Augustine and Bahia grass. St. Augustine grass can easily grow in partial shade, while Bahia grass needs full sun in order to look and grow its best. They both will stand up to droughts, but Bahia grass, thanks to its deep root system, is better able to withstand long dry periods. 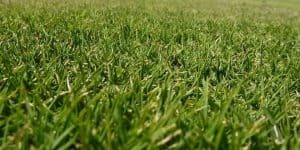 While neither type of grass has the highest tolerance for traffic and wear, Bahia grass is much more durable, but only once it has been correctly established. Young Bahia grass can be easily damaged. 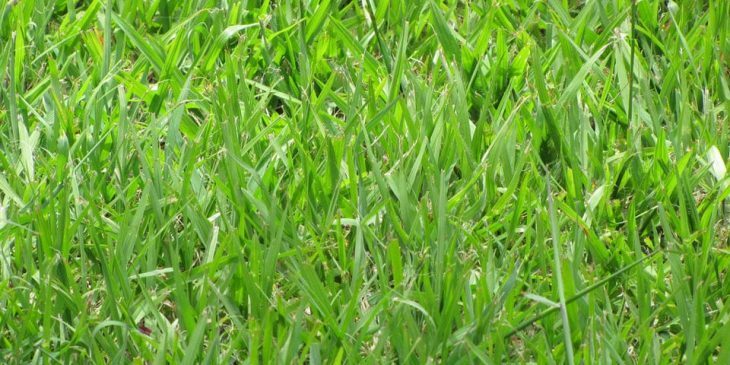 Bahia grass and Crabgrass look very similar to some people, but Crabgrass is a weed, while Bahia grass is planted specifically for use as turf. Bahia grass tends to grow much taller than Crabgrass does, especially when the seed heads are allowed to extend above the blades of grass. Crabgrass is a runner weed that can quickly fill in the gaps left by Bahia grass and take over a lawn if homeowners aren’t careful. Fast treatment and mowing the lawn to a shorter height will help reduce this problem. Spot treatment is a great way to deal with this grass. Another problem with Crabgrass is that it can shade young Bahia grass, which will prevent it from getting the necessary sun and killing it.